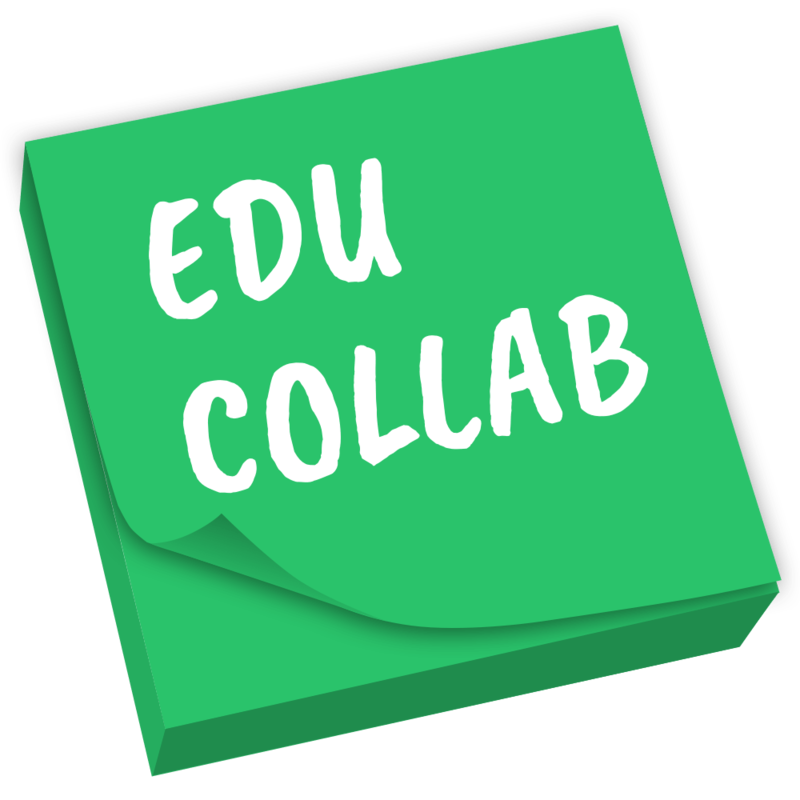 Also, want to be part of our next group of educator collaborators? Applications are open now for the 2018 cohort, learn more and apply here. 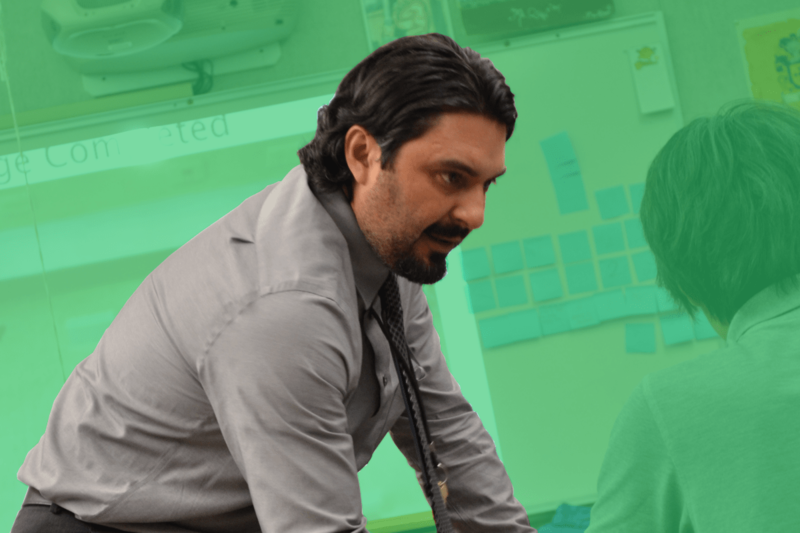 As the physics and engineering teacher at Lennox Mathematics, Science, and Technology Academy in Lennox, California, Jose Rivas has created a minds-on approach to project-based instruction that has been recognized nationally. In 2016, he won the Northrop Grumman Foundation Excellence in Engineering Education Award, and in 2015, received the Shell Science Teaching Award. IRA FLATOW: This is Science Friday. I’m Ira Flatow. We get a lot of emails from listeners. And some of our favorites come from science teachers, like this one we got from an anonymous educator who listens to our podcast. What a great email. It keeps us going. We love being able to help teachers do what they do. And that’s one reason why education is a central part of our mission. We have a whole section of our website devoted to inspiring and educating students– really, anyone of any age who wants to learn more. And every year, we get together a small group of really creative teachers to see what ideas they can cook up from our stories that we tell on the radio. That’s right, the Science Friday Educator Collaborative is back for 2017. Wish I had a little bell here to ring. And this fall, seven teachers have put together a group of teaching resources that anybody can use to do the science we cover here on the show– for example, hands-on experiments and lessons and curricula. They’ve got spinning eggs, fossilized chicken wings– that’s right– and more. And a few of these great resources they’ve put together. They are on our website right now. And we will be putting up more throughout September. So you can go back and forth all month long. You can check them out at sciencefriday.com/educators. And in a minute, we’re going to meet a couple of those teachers and hear what they have created. But first, I’m joined by Science Friday’s Education Program Assistant Xochitl Garcia. Hey, Xochitl. IRA FLATOW: Most of our radio listeners may never see the impact Science Friday is having in the classroom. Tell us about the Sci Fri education mission. XOCHITL GARCIA: Well, at Science Friday Education, what we’re trying to do is take the awesome stories that come out each week that are covered on our video and radio and in articles and empower parents, educators, and learners to explore, investigate, basically do science, technology, engineering, mathematics, STEM, and explore more about their world. IRA FLATOW: We even put steam in there. We put the arts. XOCHITL GARCIA: We did. Last year, one of our educators created a watercolor resource for climate change, which was really amazing. IRA FLATOW: Tell us about some of the things we had last year. XOCHITL GARCIA: Last year, we had Ryan Hollister. You had him on in December to talk about his photo sphere that he created for the Columns of the Giants in the Sierra Nevadas, which was really amazing. Ryan Becker last year created a climate change resource where students illustrate graphs and tell a story through a graph. And Beth Topinka created a hydrophobicity resource for elementary school students to study what angle drops actually come off leaves and determine their hydrophobicity based on that. IRA FLATOW: I remember that one. That was cool. XOCHITL GARCIA: It’s really cool. And we have another crop of great educators this year. XOCHITL GARCIA: Yeah, so we put out our application last year and we had some really amazing educators. We chose seven. Unfortunately, we can only choose seven. And they’re from all over the country. We have a teacher from Hawaii, California, Chicago, Illinois. And basically, they took a piece of Science Friday media. We have one educator investigating telomeres of dormice and really looking at longevity and the fountain of youth. And another teacher comparing the T-rex to a chicken and looking at their pelvis to see how a T-rex might have walked based on their evolutionary relationship to theropods. So they’re really doing some amazing work and they’re really inspiring students in their classroom. IRA FLATOW: That’s great because I always feel that the best way to to talk about science is to use current events. And we know, we talk about current events here on the show. And then you take that information and you turn it into science stuff for kids. XOCHITL GARCIA: I mean, it’s totally true. And it’s like you predicted the next generation science standards before they actually happen because it’s all about real world phenomena. And teachers are really taking up that charge and using these real world events to get students excited and to have students generate questions and build things in their classrooms. IRA FLATOW: All right, so let’s get on with it. I want to bring in our guest educators for the rest of the hour. Stacy George teaches STEM to grades three through five at Mauka Lani Elementary School in Kapolei, Hawaii. Welcome to Science Friday. STACY GEORGE: How are you? IRA FLATOW: Better now. Jose Rivas teaches high school physics and engineering at Lennox Math, Science, and Technology Academy in Lennox, California. Welcome. JOSE RIVAS: Thank you. Happy to be here. IRA FLATOW: It’s great to have you. Jose, your resource is about rational inertia. What Science Friday media got you thinking about that? Tell us what that means. JOSE RIVAS: Sure. So the resource I use, it was a video clip. It was called spinning eggs in space. And Astronaut Don Pettit– so he did two pretty awesome things, other than being in outer space for seven months on the International Space. It was pretty awesome. But he talked about rotational inertia. And he talked about how rotational inertia affects spinning objects. So he started spinning different objects and he started talking about stability. And then he had two decoy eggs, one decoy a raw egg and a hard-boiled egg. And then he spun those two eggs. And you could see a very big difference between those two eggs. The hard boiled egg spun relatively well. It was very stable. And the raw egg, it spun out of control. It started wobbling. And so, I saw that. I was like, man, I have to bring that back down to earth and create a resource to help students explore what is happening inside the egg, and then also to explain what is rotational inertia and how does that affect objects. IRA FLATOW: Of course, I meant rotational inertial when I said rational. It was just me reading things I shouldn’t read. And Stacy, you saw a bee-inspired sculpture on our website. STACY GEORGE: That’s right. And the lesson actually started from the students. They were actually afraid of bees because we had a garden and they would go out and water the garden. But there were honey bees in the garden, and they were really afraid of the bees. And so they would throw buckets of water from five feet away. And I really didn’t want them to be afraid of bees. I really wanted them to appreciate it. And so just through exploration I was able to find a Science Friday article. And there were many on bees, but what really captivated me was The Hive. There was an article on the sculpture that was placed in Kew Gardens in London. And it was called The Hive. And it was just this amazing sculpture. And so we started out from there and explored not just bees, but where they live and this important part of the honeycomb. IRA FLATOW: So learning about the bees, did that make your students feel less fearful of the bees? STACY GEORGE: After a lot of these lessons, the students actually began to appreciate the bees. They looked at them differently. And obviously they weren’t afraid of watering the garden, but they really modified their behaviors. And so they didn’t want to disturb the bees in the garden while they were working. And so they would go out at different hours. And one of the solutions to their fear, I guess, you could say, was really vesting time and looking at how we should appreciate these bees. And one example is there was a bee expert that was trying to move a beehive on this playground, one of our playgrounds. And all these students came running to me and they said, they’re destroying these beehives on the playground. We need to do something about it. And he was just moving it to another place because it was not a great environment for it to be in at that time. IRA FLATOW: Interesting how they change once you get the hands-on experience with stuff. Xochitl, what are some of the other great resources our collaborative put together this year? XOCHITL GARCIA: So I mentioned two of them before. We have working with segments of DNA called telomeres to look at longevity in edible dormice. We have the T-rex versus the chicken pelvis. You actually are going to make a puppet and simulate the gait of what you think a T-rex might walk like based on a lot of birds that you examine. Engineering better winter boots– we had that segment last year on Slippery Soles. XOCHITL GARCIA: And this teacher had her students examine tread and really rework the tread and look at the coefficient of friction between those two things. Building a crime scene– a simulated body farm from liver segments to look at a fly’s lifecycle And see if you can predict the time of death. And then Jose and Stacy’s wonderful resources on rotational inertia and hexagons as honey bee cells. IRA FLATOW: A lot of teachers in science were not science teachers to begin with. They found themselves, maybe social study teachers, and they were told, you’re now a science teacher. Can teachers who aren’t science teachers also use the collaborative? XOCHITL GARCIA: Definitely. We encourage teachers from all disciplines to apply. Mostly what we’re looking for is an innovative approach to getting students interested and engaged in STEM. So the key to all of our resources is hands-on. And so we work with teachers to facilitate the learning that needs to happen, the connections to professionals in the field that’s relevant to them, and to provide media and images that highlight the great and creative aspects of the resource. And so we have an application for the next cohort, our 2018 educator collaborators. It’s going to be open from today, September 1, all the way until December or January 7. Actually, we want to give teachers a big long time to apply because you can choose any piece of Science Friday media and tell us what hands-on experience you would create for students and how that demonstrates the way you teach STEM in a creative environment. And so you can find that application and all of our profiles for our educators on sciencefriday.com/educators. IRA FLATOW: So sciencefriday.com/educators. Stacy, I’m going to put this question to you that I asked Xochitl. I know that you haven’t always been a STEM teacher. How did you get there? STACY GEORGE: It’s a funny question. Well, I actually grew up in the educational system where science was taught pretty traditionally, textbook driven and where we did labs. And I actually do a lot better learning by doing things. And so I really wasn’t good at science. So it’s really interesting because elementary teachers are considered generalists. So unless you really have a solid background in science, most elementary teachers are a little uncomfortable at teaching it. And I was actually one of them. But truth be told, it was actually the students who showed me what science was about. And just providing them some time to explore, and they began to look at things a lot differently. They ask amazing questions like why, how come, how does it work. And the most amazing part about it was I didn’t know the answers to those questions. And that’s where science begins. And because I didn’t have a clue, we had to explore these answers and look for solutions together. And it’s really what inquiry is about. And so they learned. A lot of it was about learning from their environment and the world around them. And that became their textbook, that the world is our textbook. IRA FLATOW: It is, absolutely. STACY GEORGE: Yeah, and so they observed and started to question and do. And that’s where I became intrigued with science. And I think it can be taught in many content areas. It’s just an integrated form of learning. IRA FLATOW: Once you come over, you don’t go back. I’m Ira Flatow. This is Science Friday from PRI, Public Radio International, talking about our Science Friday educator collaborative. Jose, you used to be an engineer for Boeing. Why did you leave to become a science teacher? JOSE RIVAS: So when I was eight years old, I always had this dream of becoming an engineer. And the biggest push for me, I had really good teachers. But I remember watching you on Newton’s Apple back in the day. IRA FLATOW: It’s great to be in. I’m thankful for it. JOSE RIVAS: Watching Geordi La Forge fix the Enterprise every time. But yes, so when I was an engineer at Boeing, I started tutoring in the same neighborhood I grew up in. And I just I got the teaching bug there. But I didn’t go right away into teaching. I actually ran for the Board of Education in my community. And I wanted to see, can I make changes as a board member. And I found out that you could do some things, but the action is in the classroom. And so I left the engineering world and I started teaching in East Los Angeles Roosevelt High School, two amazing years. And eventually we ended up opening up a high school in our community. And I resigned from being a board member to go to teach in the high school where I’m at right now, Lennox Math, Science. And it has been an amazing journey. IRA FLATOW: You know that Bill Nye came from Boeing also. JOSE RIVAS: I actually met him a couple of years ago in Tokyo. We were there for a Tomodachi program. IRA FLATOW: Well, that’s great. This is terrific. Where do we go from here, Xochitl? What’s the best way for teachers to get involved in this now? XOCHITL GARCIA: I mean, Science Friday Educate has a lot of ways for teachers to get involved. We have a newsletter we send out once a month that talks about new activities that come out on our site. You can always email us at educate@sciencefriday.com. We love hearing from teachers and hearing how you’re using our materials in the classrooms. We also do some field testing of our resources. So we want to make sure that when they’re used in the classroom, we’re responding to how teachers are using them and putting up resources that reflect that practice. And then we also have a weekly newsletter that goes out called Science Friday Spoonfuls that has short clips of media, short doses of science for the classrooms. So we take the interviews that you do here every week and we make them bite size for classroom use and put a transcript with them so that there is a weekly influx of science coming into classrooms of all grade levels. And definitely apply for the Science Friday Educator Collaborative. It is an amazing program for me, so I would love to work with any educators who are excited about coming to work with us. IRA FLATOW: And we’d be very excited to work with all of you. And I thank all of you for the work that you do on Science Friday. For all of our educators and all teachers out there, I thank all of you for taking time to be with us today. Stacy George teaches STEM to grades three through five. It is Friday. Jose Rivas teaches high school physics. And Xochitl Garcia is a Science Friday’s Education program assistant. Thank you, thank you all. XOCHITL GARCIA: Thank you for having us. IRA FLATOW: And then Xochitl says applications are open for the next Science Friday Educator Collaborative. If you’re a teacher and like what you’ve heard, consider joining. Information on how to apply, it’s all there on our website, sciencefriday.com/educators.